Wireless Networking Solution And Products. PC Care Airway Infratel Pvt. Ltd. The Shakya InfoTech is achieving this through the development of specifications, guidelines, resources and collaborative work that will help make the Wi-Fi experience easier, more secure and available to more people. Wi-Fi allows mobile Internet devices like laptops, smartphones, tablets, etc., to access office network from anywhere in the premises. 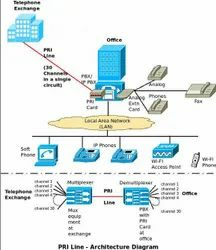 It also enables addition of new users to the office network at zero incremental cost. Wireless A complete range of wireless for point to point and point to multi-point applications. This includes products for backhaul from 4E1 to 1 GB and access products at 4MBPS. Our products are spectrally efficient and extremely reliable. Transoft Infotech is a leading supplier of core to edge network design, installation and support solutions. With over 15+ years of combined experience Transoft Infotech offers a comprehensive set of installation, operational support, maintenance, repair services to ensure optimum performance of IT Infrastructure.